The Banner Saga 2 picks up right where the first game left off, in just about every way imaginable. It has the same distinctive visual qualities, the same core systems and follows the story through from the end of the first episode. An argument could be made that the developers should have changed things up a little more, but the core principles that worked so well for the original game still resonated with me throughout my journey. The first Banner Saga inspired a range of emotional feelings from me when I played it. The visual style is beautiful and unique, yet despite this the world itself is a bleak one. It reminded me of so many other similarly themed games like The Last of Us or Mad Max in that the world has a genuine sadness and melancholia to it. These teams are able to build out worlds that are both artistically and visually beautiful, but more than that they can effectively communication various emotions. A sense of sadness where there may have once been happiness or the feeling of loneliness where in the past there was community. 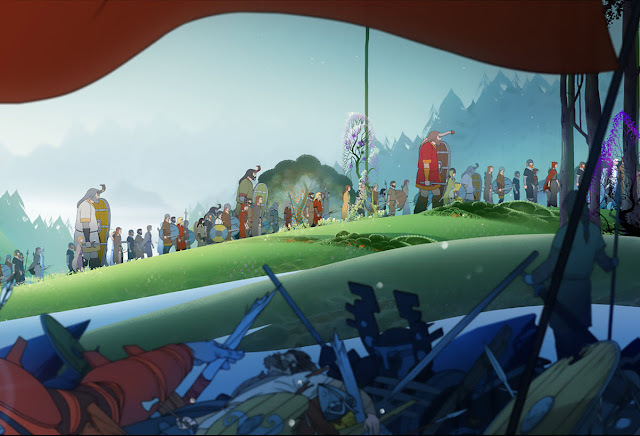 The Banner Saga 2 manages to convey all of these emotions and more through its visual style but also through very good writing and supporting music. This is a story about survival and how decisions need to be made. As poignant as any of the tales coming from the popular Game of Thrones, there are sacrifices to be made and quite often I found myself trying to figure out what the lesser of two evils would be, while still questioning my choices later. 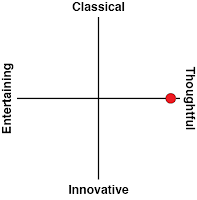 That is the sign of a good narrative, when you get that invested in the characters and what is happening with them. That is because the world is constantly out to get your little caravan of survivors. The undead-like Dredge continue their steady, tireless assault, pushing at your people the entire time. However, monsters are not the only thing one has to worry about. These types of circumstances bring out the worst in people, and this leads to conflict within the unit, supplies shortages, sabotage and crime, and you, as the leader, need to manage all of this while trying to survive the elements and wild animals encountered along the way. Even little things such as a seemingly harmless conversation can have repercussions, because people have their own agendas and their own interests. Sometimes they reflect the common good, but quite often they reflect only one's need for survival. These interactions and emotional threads give greater weight to the gameplay mechanics themselves. Do you stop or press on? The Banner Saga 2 does a brilliant job of pacing here, keeping the player unsure of what will happen next. Will your decision land you in a fight or help you to avoid one? While the battles may harden your warriors and better prepare them for future battles, they will also tire your fighters out leave them vulnerable without rest? Managing your people while on the go might be fraught with challenging decisions, but thankfully the interface makes it easy to navigate. Combat is still where the meat of the game is at, and if you are a fan of turn-based strategic combat with some RPG elements sprinkled in for good measure, you should be right at home here. 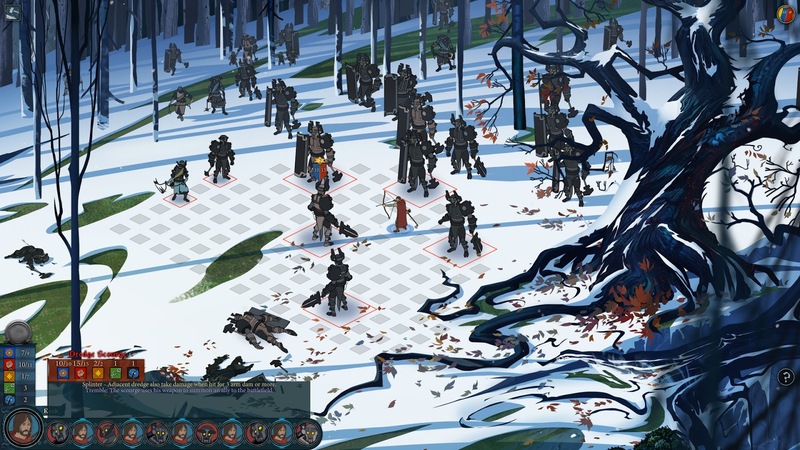 If you played the original game, then The Banner Saga 2 should immediately feel familiar to you. The menus and skills are better balanced and polished up, but the same core mechanics come into play here. If you are new to the series, the initial stages do a nice job of stepping you through the basics. 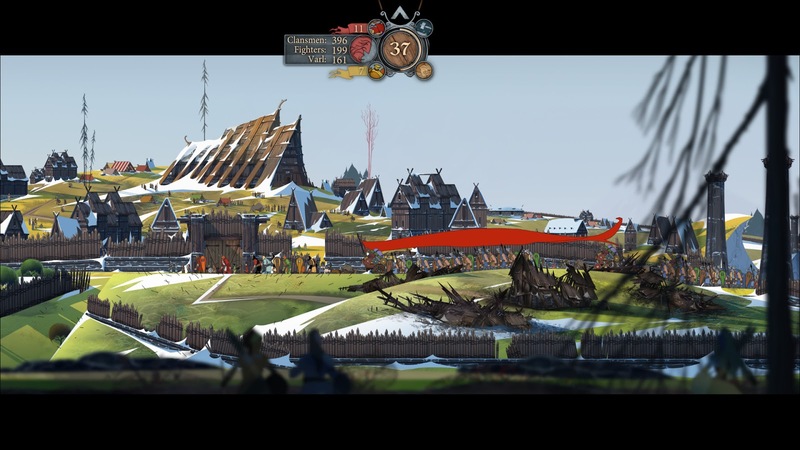 You do not need to play the first game to enjoy The Banner Saga 2, but I would dare say that you will get a great deal more out of it. Not just because of the story progression, but the way you can leverage your initial save file to bring over the results of the first game in very Mass Effect-like fashion works quite well here to form a line of continuity. Combat takes place on a grid where characters can move back and forth and attempt to engage one another in combat. There is a lot of risk versus reward sprinkled in as you pick your team to go to battle with while trying to manage not only their health but also their attack power. Once again different races and classes do a nice job of lending balance to the combat. One of the things that the sequel does better is manage the pace with which the combat develops better than The Banner Saga. Because so many of the troops were presented early in the original game, the middle portions began to grow redundant and a little grind-y. The Banner Saga 2 does a nice job of sprinkling in new content along the way, adding new hooks throughout to keep the gameplay more fresh throughout than the original. 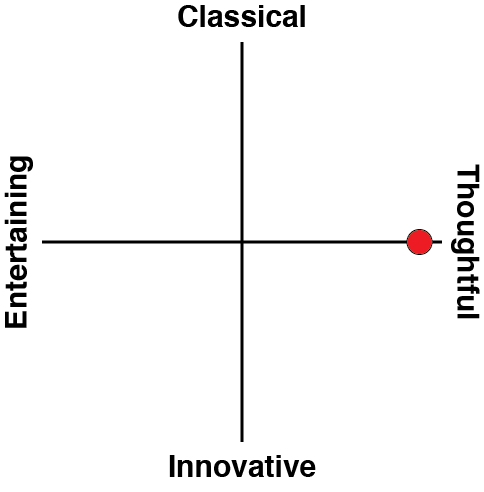 That being said, I did come away somewhat disappointed with the sameness of it all. In many ways, The Banner Saga 2 comes across more as an expansion than a true sequel. The tactical combat is still very enjoyable, but there has not been much iteration since the first game, and not many chances taken by the developer. The formula is a solid one that is well-executed, but seeing so many of the same assets and characters come back again from the previous game did diminish some of the impact on me and added to that sense of overly repetitive combat during the stretch run. Related reading: For an alternative tactics game on PC, check out XCOM 2. Sam's full review. Because this is the second of three games, I am very much looking forward to the next one. The formula here is excellent and the inescapable hardships of being a leader making the tough choices gave me a real sense of ownership over the duration of the game. If you enjoy a weighty narrative and a challenging turn-based strategy system, there is no reason not to give this Nordic themed title a chance.